choir croak out them goodies: What's my stance? You know, I like to dance. What's my stance? You know, I like to dance. 1. 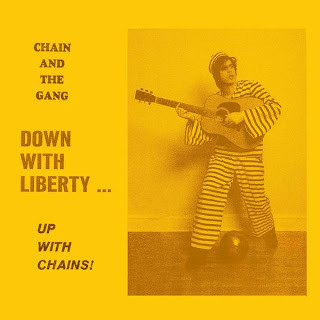 They have a record called Down with Liberty...Up with Chains! It'll be out on March 9 on K Records. 2. They will be touring this spring! This includes a May 22 date at the Smell in Los Angeles. Join me on an Ian Svenonius geek-out!